No matter what type of automobile you’re looking to purchase, it’s important to understand all the details about the options available to you. That’s why the knowledgeable team at Burns Honda has created this guide to Certified Pre-Owned Cars vs. Used Cars. Thanks to the helpful information found in this comprehensive manual, you’ll learn more about the key distinctions between certified pre-owned (CPO) vehicles and used cars. 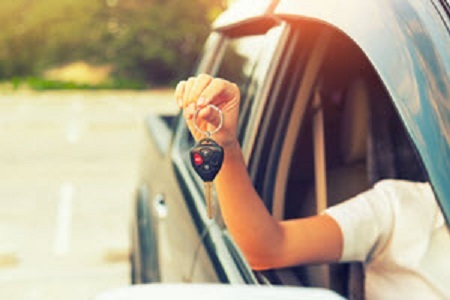 Once you understand the benefits of these cars, you’ll be ready to take your ideal vehicle for a spin on the roads of Marlton, Mount Laurel and Cherry Hill. Reliability is the key to confident driving. By opting for a certified pre-owned sedan, SUV or any other type of vehicle, you’ll soar through your daily commutes and spontaneous journeys with the peace of mind of CPO-exclusive warranties. For example, most certified pre-owned automobiles come with Limited and Powertrain Warranties that span a certain mileage and time frame. Thanks to these extra assurances, you’ll know that your car will be supported if you need a repair or replacement during your ownership. On top of those perks, some manufacturers even provide additional coverage, such as Roadside Assistance. This convenient benefit supports you in the event that something goes awry during your drive. So, whether you’re locked out of your car, need a battery jump-start or require any other type of help, you’ll know that a team of friendly service professionals are only a phone call away. In addition to those certified pre-owned vehicle advantages, you’ll traverse every road inside a vehicle that’s under a certain age and within a specific mileage limit. That way, you can trust that your CPO automobile will remain by your side for as long as you want and need. The main difference between CPO vehicles and used cars is that used automobiles can come with any number of miles or fall within any age range. Used cars in good condition can still offer dependability and affordability. Additionally, with the new wave of high-tech automobiles on the market, it’s even easier to locate a used car that fits your lifestyle. Why is that? Well, every year, vehicles come equipped with new technologies, additional safety tools and enhanced performance. All in all, those updates help used cars stay on the road for longer than ever before. That means that any used inventory you choose is sure to offer up models of recent years, which could contain features like touchscreen displays, intelligent audio systems and other high-tech features. Plus, most dealerships are happy to present you with Vehicle History Reports on each pre-owned automobile they sell. Within these records, you’ll discover details about your car’s previous owners, any accidents it was involved in and any types of repair it received. That way, you’ll know exactly what to expect once you hit the road. Find Your Certified Pre-Owned or Used Car Today! 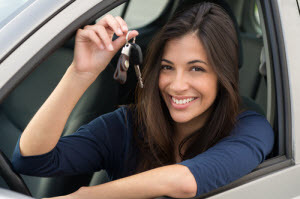 At Burns Honda, we know what it takes to arm drivers of Marlton, Mount Laurel and Cherry Hill with the capable, certified pre-owned or used car of your dreams. Regardless of which option you choose, we’re here to walk you through the steps of buying or leasing your perfect ride. To explore more of what our trustworthy automobiles have to offer, feel free to stop by our showroom or schedule your test drive today!